Now available in 6 new customised shades, in warm, cool and neutral tones to perfectly match the colour texture of your skin. 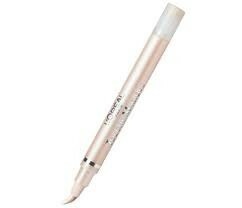 L'Oréal Paris True Match Touche Magique has a soft brush applicator, making precise and controlled application easy. One of the best low budget products. Dupe for touche eclat by YSL. Great for under eyes and brightening although not for blemishes as it will highlight them. Use straight down centre of face and under eye to bring focus to the centre of the face and to brighten. Great value. I consistently buy as an MUA. This product is great,it hides under eye darkness with the minimum effort and illuminates so skin looks fresh. A great, easy to use product with a brilliant price tag!! I have always struggled to find a concealer that does a good job whilst looking natural. I have finally found a high performer in this product. The texture is very light and does not cake or crack on the skin. It has an illuminating effect that is fantastic for concealing dark circles, blemishes and pigmentation. It dries quickly and sits well under foundation. I love the pen applicator. It fits perfectly into your purse or handbag and all you need to do is twist the base of the pen to load your brush and then apply to the areas you need. I blend the product in with my finger for the finishing touch. It stays put all day, with only an occasion touch-up needed depending on the severity of the flaw. A great, easy to use product with a brilliant price tag! !